Christchurch – Ultimately, for New Zealand to diversify its export base, technology will play a critical role in improving value-add in agricultural exports, a leading New Zealand agri-tech expert says. 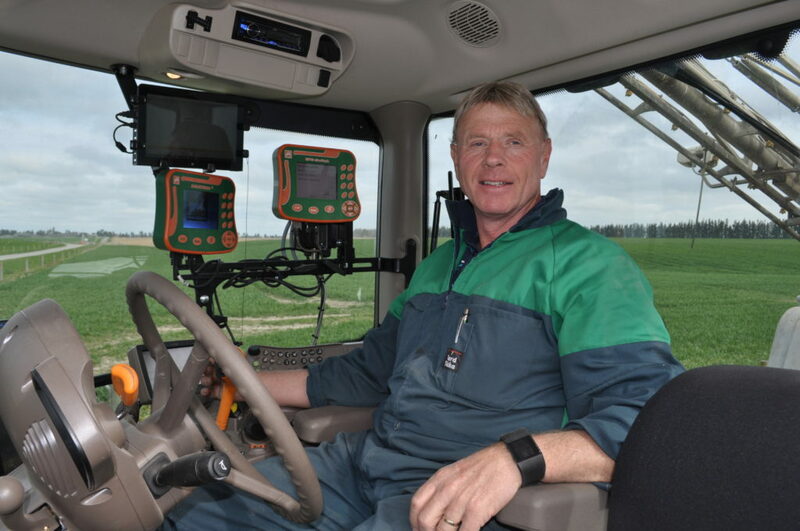 “There is growing interest in the benefits of precision agriculture for environmental and financial viability of our New Zealand farms but we have a challenge ahead to get greater engagement with more farmers and companies in this sector. “Next year we are hosting the seventh Asian-Australasian conference on precision agriculture in Hamilton. This will be the first time the event will be held outside of Asia so it will be important to make a success of it. This will be a landmark occasion for our New Zealand industry to showcase the best of what we do. “Global agritech investment is growing rapidly, with investment in 2014 estimated at over $US2.36 billion making the sector larger than the global fintech market. With our traditional strengths in agriculture and our growing strengths in tech this is an opportunity we should pursue with vigour. Mackenzie recently received the 2016 international Precision Ag Farmer of the Year award in the United States, for being identified among the most innovative farmers in the world. In 2008 as a recipient of a NZ Nuffield Farming Scholarship, Mackenzie spent six months studying agricultural innovations overseas. Rural New Zealand is predominantly devoted to agricultural activities. Despite being outside the tech sector, agriculture is a big user and creator of technology. The Sapere research group says agricultural producers are generally low users of internet services relative to other industries, but they are still highly connected. Mackenzie says the rollout of networks and the increasing availability of internet connectivity, especially driven by the Rural Broadband Initiative, are enabling transformation in the way the agricultural sector operates and how suppliers integrate into the supply chain from pasture to plate. “There are significant positive impacts available from connecting farms to broadband and from relatively simple data sharing applications. Internet connectivity and broadband brings the prospect of increased digital customer interactions for businesses.